BRATISLAVA -- PSA/Peugeot-Citroen's Slovak plant will suspend production at the end of the month as a result of falling orders due to the tougher economic outlook in Europe, the Slovak unit said. PSA produces the Peugeot 207 and Citroen C3 Picasso subcompact models at its plant in Trnava. The carmaker said it would stop production from Oct. 28 to Nov. 4 and again from Nov. 14 to Nov.18. The company has already halted production on one two previous occasions this year, the most recent being in September due to supply problems. 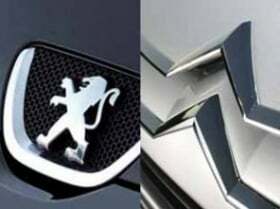 "The reason is lower car orders at the end of the year, which is connected also to the tense economic situation and social turmoil in Europe," Peugeot's Slovak unit said on Wednesday. The central European country of 5.4 million became the world's largest per capita producer of cars in 2010, and Slovakia's export-reliant economy is geared heavily to the auto industry. European sales of PSA fell 13.3 percent to 133,469 units last month, according to figures released on Tuesday by the European Automobile Manufacturers Association, or ACEA. Since the beginning of the year, deliveries have dropped by 7.6 percent to 1.3 million.